The Series I Discovery was Land Rover’s first attempt at bringing the comfort of the Range Rover and the off-road capability of the Defender 90 together. Built on the same platform as those two, the “D1” or “Disco,” as it is affectionately called, was a workhorse which could double as a comfortable daily driver, and could be had as an ultra-basic vehicle or loaded with all the amenities a person in the mid-90s could want. 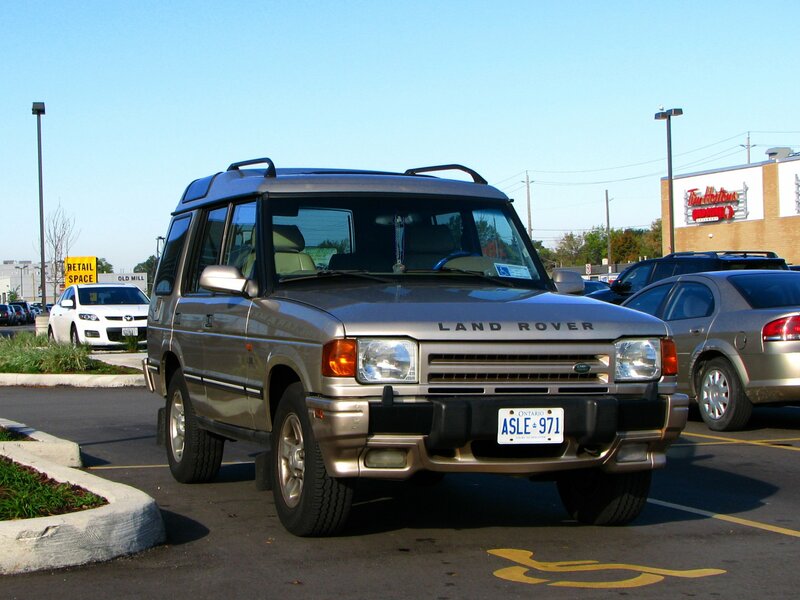 Although Land Rovers are famed for their unreliability, the 3.9L and 4.0L engines on offer in the D1 are stout, provided owners keep on top of oil leaks and other routine maintenance and don’t let the car overheat – it’s not unusual for these cars to hit 300k miles on their original engine. Despite its smaller size, the D1 featured full-float axles (unfortunately with the brake discs located inboard of the hubs) and a towing capacity of 7700 lbs. Unfortunately, most of these cars have fallen into neglect thanks to uneducated or uncaring owners over the last couple decades, and most are “projects” at best. When well-sorted, however, they’re very comfortable, and are one of the most capable off-road vehicles ever made. LSE trim – adds wood trim everywhere, and replaces standard door panels with ones that have leather and wood inserts. It’s a nice cosmetic upgrade. Front swivel balls – the seals tend to leak with age, and refilling them with “one shot” grease is a routine maintenance item. If all the grease is allowed to leak out, then the balls can get pitted and rust, necessitating their replacement. Most mechanics won’t touch this job – only specialized Land Rover shops and some 4×4 and import shops will. Expect about $1500-2000 for parts and labor to replace the balls and all seals, depending on the condition of the CV joints and drive hubs. Hood release cable may be seized – if this is the case, have someone push down on and hit the hood while you try to pull the lever. If this does not work, try spraying a lubricant like PB Blaster (NOT WD-40) through the grille onto the latch, and repeat the process. Once hood is open, remove any obstructions to cable and fully lubricate both it and the latch. As you might imagine, the ability to open the hood is important when owning an old Land Rover. The front seating position means that occupants can comfortably rest their arms on top of the door panels. This causes discoloration and eventually cracking. Vehicles with sunroofs: If the headliner is stained around sunroofs, chances are that the seals leak. This is a huge job to fix because it requires removing the entire sunroof assembly to replace the seal. The SRS warning light will illuminate when the battery is disconnected or fully dies, and a trip to the dealer can reset it (or you can do it yourself if you have the proper diagnostic software). An illuminated SRS warning light does not necessarily mean there is a fault with a component. MY94-95 vehicles don’t have OBD2. The Lucas 14CUX ECU has a small display underneath the passenger seat to display diagnostic trouble codes should you have a check engine light. The diagnostic connector is located underneath the driver-side lower dashboard – it’s a blue five-pin connector, which requires special cables and hardware to use.